Weezer songs have always had a sense of humor, but ever since the general public refused to recognize the greatness of Pinkerton and its inescapable emotions, Rivers Cuomo and the rest of the Weezers have shied away from anything too real or serious. Because of that, it seems like modern Weezer’s destiny is to become a meme band that makes important decisions based on what will be funny, and now the band has achieved its final form thanks its cover of “Africa” by Toto—which, lest we forget, was the result of a grassroots campaign launched by a teenage Weezer fan who heard “Africa” in Stranger Things and thought Weezer would totally kill it. According to Billboard’s top Alternative Songs chart, that “Africa” cover is now Weezer’s biggest hit in a decade, indicating that they really are more popular when they’re just goofing around. 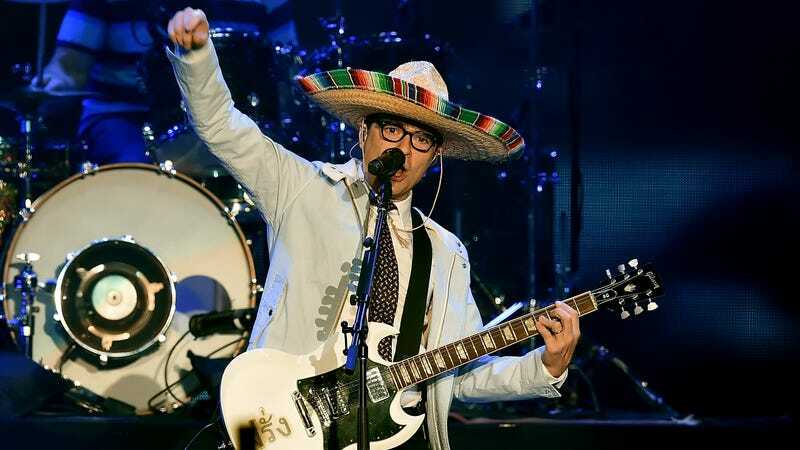 Weezer last topped the Alternative chart in 2008 with “Pork And Beans,” which had a meme-filled video and topped out at 64th place on the overall Hot 100 ranking. “Africa” is currently sitting at 68 on that chart and is also sitting at 11 on the Adult Pop Songs chart, approaching the record set by “Beverly Hills” in 2005—it landed at 8 and is Weezer’s highest-ranking Adult Pop Song to date. If you somehow haven’t heard it yet, here’s Weezer’s “Africa.” At the risk of offending the aforementioned teenage Weezer fan, it’s… fine.